Meet the team! CallScripter's team comprises of individuals from a variety of backgrounds with a formidable combined skill set. We work in an open plan office to prevent barriers to communication; This encourages a healthy working relationship among individuals and process clarity between departments. By working closely together, we can utilize our skills to deliver the best service possible. Wil Sokanovic started his IPPlus career over a decade ago as an agent in our very own call centre, Ansaback. Over the ensuing years, Wil has demonstrated a commendable work ethic and dedicated enthusiasm. This has been duly recognised by the company and enabled Wil to work his way from agent through the ranks to service delivery manager. With Wil’s vast experience of the contact centre world and extensive knowledge of CallScripter’s scripting application, he was the perfect candidate to join our Sales team. Wil takes great pride in representing the brand and driving the business forward. 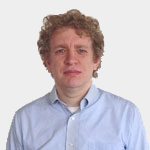 Robert joined IPPlus as a call agent in 2009, moving quickly to shift supervisor and then senior client coordinator. His technical capabilities brought him to the attention of the CallScripter Professional Services team which he joined in 2015 as Helpdesk Support Analyst. Rob has shown exceptional initiative in this new role; demonstrating impeccable communication skills and problem solving techniques and has now taken on the role as Professional Services Consultant, managing customer projects. In his spare time Rob enjoys snow sports, squash and dodgeball. 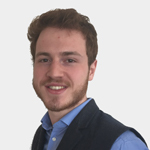 Elliott Drewell has been with IPPlus for nearly two years as a Team Leader in our contact centre, Ansaback. After showing a particular interest in our software, which he has used on a daily basis during his time as a Customer Care Advisor, he has been recruited as a Helpdesk Analyst for CallScripter. 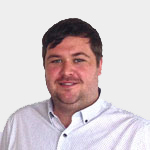 As first line support, Elliott is responsible for prioritising, resolving and elevating helpdesk tickets and liaising with our client base. Elliott is an avid music fan and in his spare time loves to cook, ride his Harley Davidson and enjoys real coffee and ‘proper’ beer. Aston French obtained a BSc in Physics from Swansea University before completing his MSc in Astronautics and Space Engineering at Cranfield. One of Aston’s hobbies is playing computer games and making modifications to them, as part of a team effort. His zeal for all things tech and aptitude for group projects makes him the perfect candidate for his new role in CallScripter’s Professional Services team as a Support Analyst. Working closely with Mike Hollett, fellow tech enthusiast, Aston will be working on the platform delivery and maintenance of CallScripter. In his spare time, Aston volunteers for the British Heart Foundation and enjoys live music, squash and anything space related! 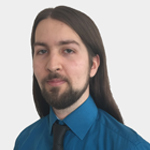 After graduating from Suffolk University with a BSc honours degree in Software Engineering, Andrew joined the call centre division of IPPlus as a script builder. This role evolved to encompass the complex manipulation of applications to meet customer demands. This led to Andy’s move to CallScripter to work specifically with the software solution. Andy has worked in different areas of the business, giving him a profound knowledge of the product. He now oversees the Development Team. 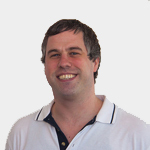 Chris is responsible for the continual improvement of usability of the CallScripter application. Most recently Chris’ graphical and server-side restructuring of the software has given birth to the new Synergy application. 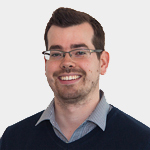 Chris’ professional experience is primarily with a variety Microsoft languages, whilst his freelance experience has generally been with PHP and other open source languages. When he’s not at work most of his time is spent with his wife and daughter as well as a bit of gardening and amateur beer/wine brewing. Karl joined CallScripter with a wealth of development knowledge back in 2005. His role as Integrations Developer involves the comprehensive .net integration of CallScripter with remote EasyCall (DXI) hosted dialer platform, additional .net integration of CallScripter with numerous premise based telephony hardware and CRM style applications and remote webService based utilities and the maintenance and development of CallScripter’s web based contact centre solution. Out of work, Karl enjoys whipping up a storm in the kitchen, seeking out music new and old and is an active swimmer and biker. 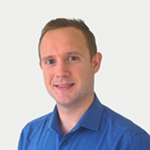 Michael has over 10 years’ experience in software support at all levels from direct helpdesk to administration. 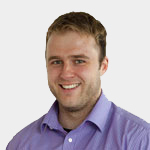 As a CallScripter product tester, Michael is focused on the development of our new and existing software solutions. Michael is dedicated to finding ways to deliver quality software and is a dynamic problem solver. Hilary boasts a varied career in design before joining CallScripter in 2006 as Graphical User Interface Designer. In this role Hilary demonstrated her creative and technical capabilities in the design of the CallScripter application as well as the branding of corporate literature and websites. 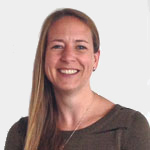 Hilary currently works alongside the development team, product testing for usability and assisting the marketing team with graphic design projects. Outside of work, Hilary spends the majority of her time with her little monsters sons.